Not quite as snazzy or engaging as the original, but it's nice to see an action movie that takes aesthetics seriously. The show-down in the conceptual art exhibit was worth the price of admission. An excellent follow-up to the surprise hit John Wick. The colorful underworld is flashier and the action is better than the first film. Keanu Reeves is giving Tom Cruise a run for his money. Action,action,action,action and even more action ! "I'm not that guy anymore. You are always that guy, John." Once again I couldn't withhold myself from watching a sequel, although I knew it probably would be a watered down version of the original. And yet I could not resist it. And after re-reading my review of the first movie "John Wick", I can only conclude that I was right about that. The final sentence I wrote was as follows: "I admire Reeves that he's still capable to portray a character as Wick at his age of 50 and bring this kind of personage to a higher level, but I'm afraid that this sequel will be a weak carbon copy from the original." . Unfortunately, I was right. When John Wick came out, it was a pleasant surprise. 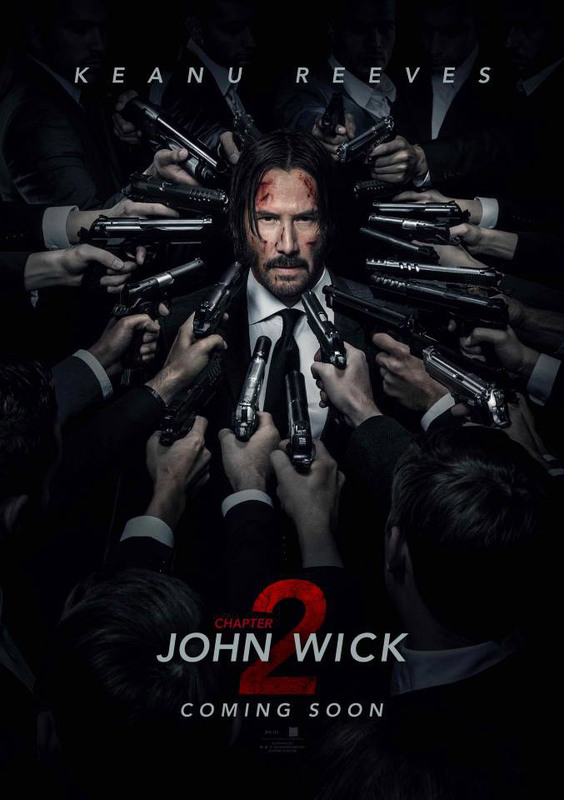 Chad Stahelski - who once worked as Keanu Reeves' stunt double in The Matrix films, got behind the camera and turned Reeves into a stoic badass - a martial arts and gun master who wanted to be left alone but was called back in to action when his car is stolen and his dog is killed. Thus began a one-man revenge tale and woe be to those who stood in John Wick's way. And action, oh my, if you like action Wick delivered on all cylinders. "You don't f**k with the devil then act surprised when he turns up." John Wick: Chapter 2 is one of best and most exciting action movie I've seen in awhile. It accomplished everything it needed to do and much more. I mean, any action movie that starts with a Buster Keaton homage is always a sign of something great. A squeal that's bigger, more violent, and plenty more head shots. Not as emotionally engaging as the first movie and it doesn't need to. In all honestly, I liked this more than it's predecessor. It expands the universe of assassins and making tension a lot higher for John. While it dose come off a bit ridiculous, but it's self aware of what it is and it's not trying to be very serious. No posts have been made on this movie yet. Be the first to start talking about John Wick: Chapter Two!